Philippine Airlines (PAL) has appointed Bird Travels, the Airline Management Services arm of Bird Group as its local representative in India. The association marks the airline’s latest step in developing its sales distribution network within the Indian market. The appointment of Bird Travels is part of the intensive preparations undertaken by Philippine Airlines to realise its firm plans to commence operations to India by winter 2018. 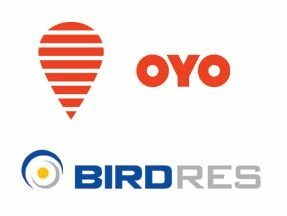 Reinforcing the airline’s growing confidence in the market, Bird Travels is responsible for all the airline’s sales, marketing and ticketing activities in India through its centrally located headquarters in New Delhi. “India’s tourism industry is expanding rapidly and we’re already seeing a steady flow of leisure and business travellers flying between India and Philippines. Bird Group is a veteran in air travel management and we are challenging them to capitalise on their strength and capabilities to help launch our upcoming flights to New Delhi and Mumbai,” said Ryan Uy, Vice President – Sales, Philippine Airlines. “Armed with our extensive local knowledge and experienced team, Bird Travels is well-equipped and committed to promote the airline’s presence in the country,” said Vijay Bhatia, President, Bird Group. PAL’s planned services from New Delhi and Mumbai to Manila will enable India-based travellers to easily access over 31 destinations in the Philippines, out of PAL’s hubs in Manila, Clark, Cebu and Davao. 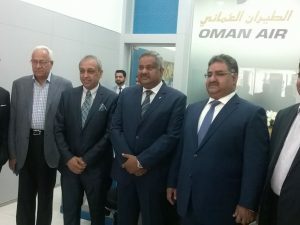 After launching its new office in New Delhi in partnership with RL Group, Oman Air is now planning to open offices in Bengaluru, Ahmedabad and Kolkata. Sunil V.A., Regional Vice President-ISC, Oman Air along with Chetan Gupta, Chairman, RL Group; Varun Mohindra, Head of Sales & Marketing, RL Group and Vijay Bhatia, President, Bird Group were present for the inauguration. “We have 162 flights operating from India, all connect well to the destinations. With our focus on Europe and Europe GCC, we are now planning to sell the east. We are not just dependent on the online network but also looking at the offline too.” said Sunil V.A. Oman is currently focusing to develop MICE segment in 2018 with a launch of its new airport on March 20, 2018. 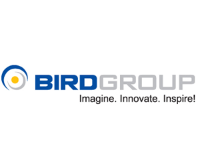 Bird Information Systems (BIS), a subsidiary of Bird Group and a leading provider of automated aviation and travel related software solutions, have partnered with Nepal Airlines Corporation to provide them with Internet Booking Engine (IBE). As per the new partnership, BIS will provide a booking platform that will deliver on time, accurate and reliable processing of online transactions for Nepal Airlines Corporation. This new service will be open for both B2B and B2C channels. Bird ExecuJet Airport Services, a joint venture between Bird Group and ExecuJet Aviation Group has announced a strategic partnership with Honeywell India, a global provider of engineering and aerospace solutions. Under this partnership, Bird ExecuJet Airport Services shall provide array of approved maintenance, repair and overhaul (MRO) services, from its approved facility, including avionics, connectivity, maintenance and upgrades to business/general aviation customers in the region. Bird ExecuJet is developing a world class FBO/MRO at Indira Gandhi International Airport and currently offers maintenance services from 2 exclusive hangars. The existing facility offers excellent logistics and operational readiness for its clients within India and also supports international clients and clients from neighbouring countries This partnership will also provide customers with an option inside Delhi airport to get support on Honeywell services and components, which was not there since the new concessionaire was granted to Bird ExecuJet. 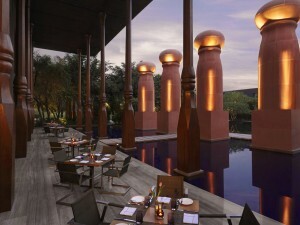 Come September 9, the iconic property from the Bird Group will change its branding, and will be called Roseate Hotel. 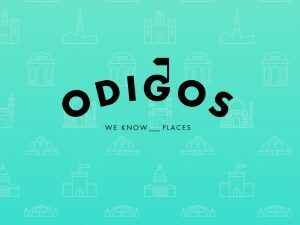 The brand has been refreshed to create a new identity. The Bird Group also has another property D2 at the Aerocity, which has still not opened, and would come under the same brand. The Bird Group will officially announce the change of branding on September 9, without any interruption in services. RwandAir has appointed Bird Travels, the Airline Management Services arm of Bird Group as its new General Sales Agent for the Indian market. RwandAir is planning to commence operations to Mumbai, India in the last quarter of this year, and the appointment of Bird Travel as its GSA comes in line with that. “Bird Travel is happy to be associated with RwandAir as their exclusive GSA in India. RwandAir is one of the fastest growing airlines on the African continent and has aggressive plans to connect India and Africa through their hub in Kigali, Rwanda. We look forward to a great working association with RwandAir and are optimistic of making their online operations a success,” commented Praful Khosla, Executive Vice President, Bird Travel. John Mirenge, RwandAir’s Chief Executive Officer stated that, “ we have selected Bird Travel to position our brand, create awareness of our products and sell our services in this important new market.” The new GSA, Bird Travel will use its vast experience and will be the immediate liaison for the airline’s sales development in India, including ticketing and direct support services to the travel trade. RwandAir will be operating four weekly flights to Mumbai with its brand new A330-300, a state of the art triple class 274 wide-body seater equipped with full flat beds in business class and unmatched leg room in premium economy, with inflight entertainment and Wi-Fi as well as GSM connectivity across all three classes.